We’re excited to announce our first Online Fall Reading Challenge. Through the online format, you can track reading minutes for school or practice writing book reviews. 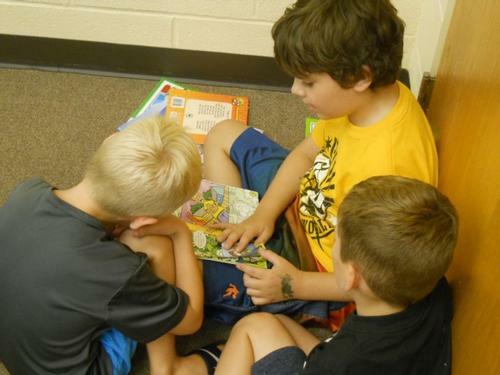 Reading regularly helps children build communication skills and increases their empathy. Reading also improves focus and memory in adults – and it’s a great way to unplug. Start a reading habit with the whole family and challenge each other to a friendly reading competition. How many badges can you earn together? Stretch your mind and practice your problem-solving skills with hands-on STEM activities and Minecraft at STEMCraft: Minecraft Gaming and STEM Fair. Join the Free Library of Philadelphia along with more than 20 other science and education organizations for this event on Saturday, October 6 from 9:00 a.m.-7:00 p.m. at the School of the Future. Collaborative and competitive gaming options are available so that everyone can share in the fun. Feed young minds with Storytime at the Reading Terminal Market Book Nook on the first Wednesday morning of every month. Librarians and special library guests will share their favorite interactive stories, songs, movement, and rhymes with eager youngsters. Visit the library to create playful learning connections with your young children. Families with children birth to 5 years can sing, play, and read together to learn new ways to build vocabulary and imagination with Words at Play Vocabulary Initiative's Play Parties. The Philadelphia Museum of Art will join us for themed programs at Cecil B. Moore Library on the first Friday of the month and at Widener Library on the second Saturday of the month throughout the Fall. Read together or with friends. All reading counts! You can be anyone and go anywhere when you write. 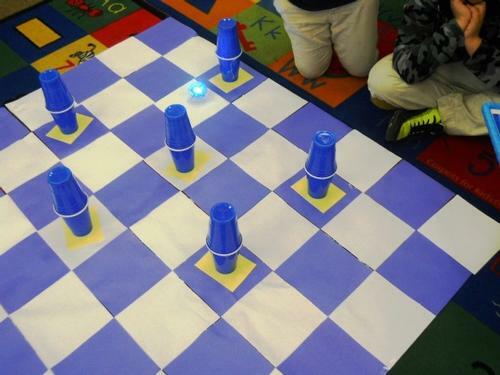 Coding and robotics games show youth how to plan ahead. 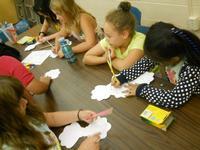 Add a Comment to 4 Ways to Jump into Fall Learning with the Free Library!